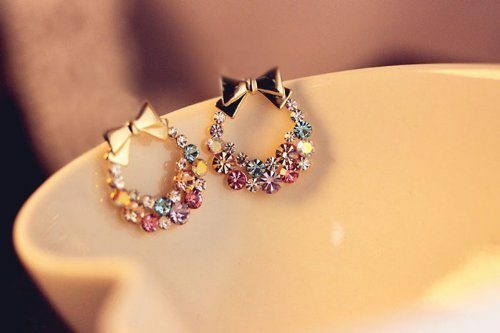 Bow and Wreath Rhinestone Earrings Only $2.34 Shipped! You are here: Home / Great Deals / Amazon Deals / Bow and Wreath Rhinestone Earrings Only $2.34 Shipped! Head over to Amazon and get these Bow and Wreath Rhinestone Earrings for only $2.34! Plus, they will ship for FREE!